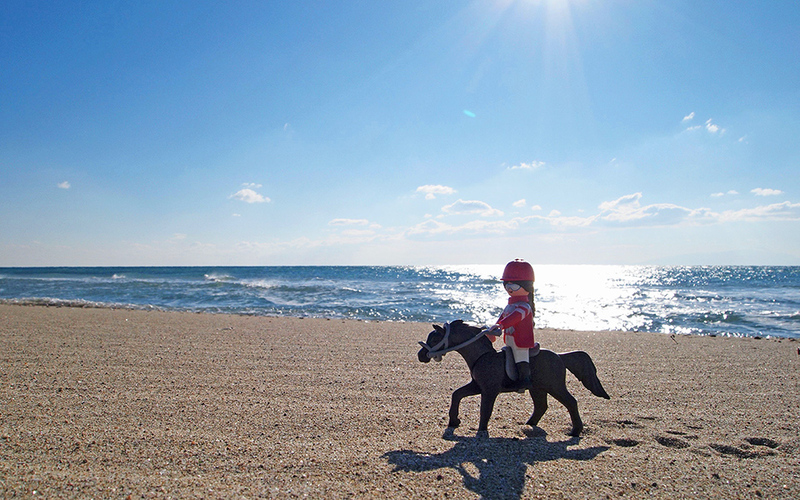 Nikos Rakkas’ love of our favorite childhood toys turned into a photography sensation worth checking out. 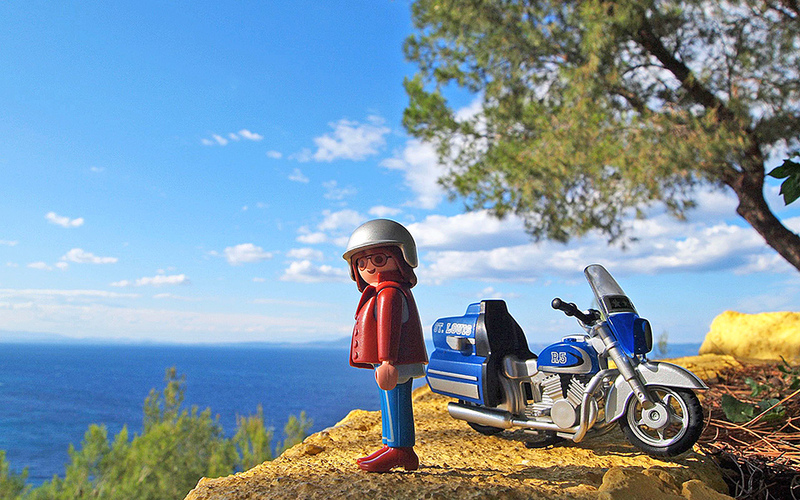 A plastic tourist takes a selfie in front of the Evzones in Syntagma square, a little spaceman finds the perfect setting on a rocky Greek beach and a plastic, freckled monk smiles contentedly into the distance with Mount Athos as his backdrop. Nikos Rakkas’ photos evoke an innocence of a childhood long since over, while looking at adulthood through a medium which makes you smile and think “It’s not so bad”. 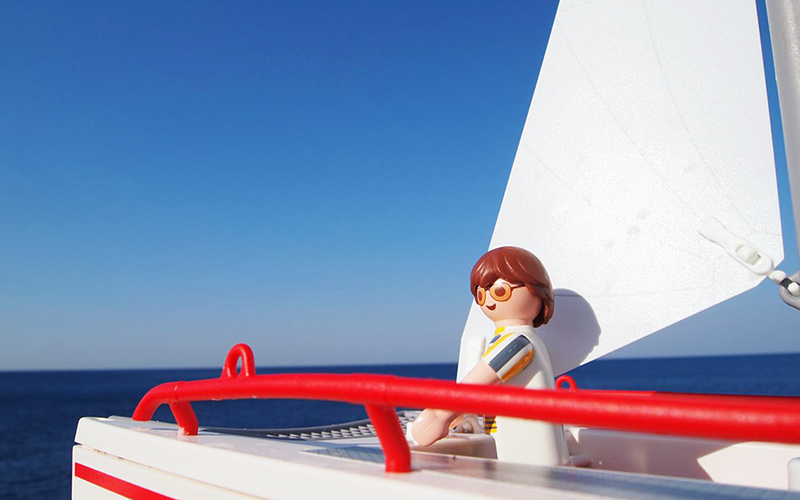 Rakkas has traveled extensively in Greece with his figures, and says he struggles to pick a favorite location to photograph. “I become really attached to a place, either for its beauty, or the moments I experience there. 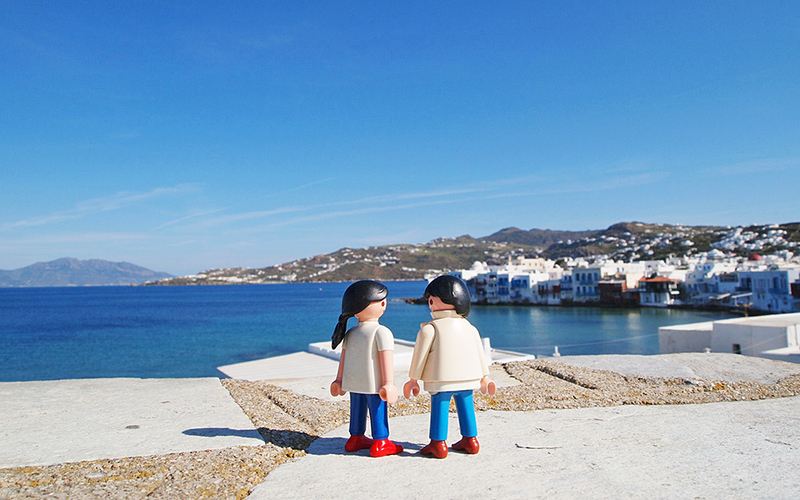 I love the Cyclades, Naxos, Donoussa, Mykonos, Paros. I love the wild beauty I often encounter in Crete, or the unique atmosphere of Mani.” He adds that since he’s a city child, many of his photographs were taken on his favorite streets in Thessaloniki and Athens. 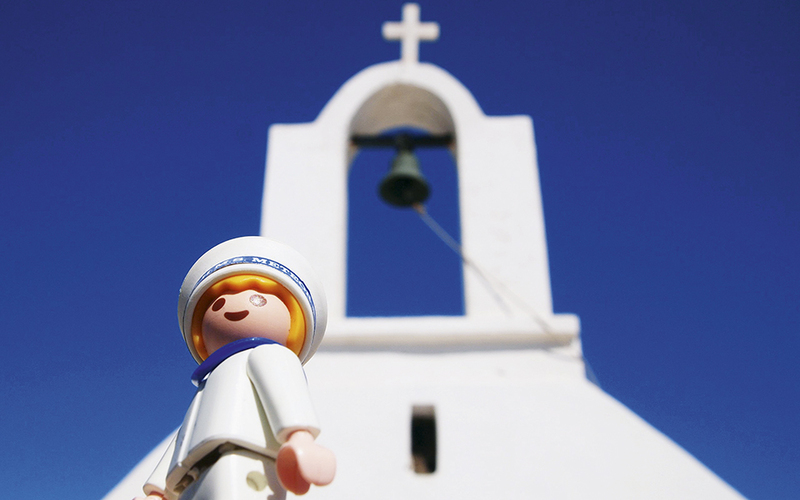 All his work comes with the support of Playmobil Greece.